Are you expecting twins? Learn how caring for newborn twins is different from singletons and what you can do to manage with two babies. “Our bodies are only meant to carry one baby during pregnancy,” my doctor said. I knew right then and there that caring for newborn twins would be a challenge. She’d been explaining why twin pregnancies are higher-risk and the complications to look for. Her sentence just about summed it up. Unfortunately, pregnancy complication is only one factor that makes having twins difficult. Caring for newborn twins is difficult—a challenge I remember during those first few weeks. Supporting them financially, from child care to education, isn’t easy. Then there’s the growing up part. The part where you handle two tantrums. Two kids going through the same developmental stages. Two little people who need you right this minute. No wonder I felt terrified of having twins. I already had an almost-three-year-old son when I first learned about the twins. I knew how crazy I get when I’m sleep deprived during those newborn months. My husband, mom and I took care of one baby and still felt like it wasn’t enough. Two babies with the same three adults, plus my eldest to contend with seemed all but impossible. I’ve already gone through caring for a singleton. I needed to learn how different caring for newborn twins would be. Like my boys, more than half of twins are born prematurely. And while you’ll sometimes get the six-pound twins, more often they’ll be five pounds or less. They might need NICU time as is often the case with preemies. They may have respiratory issues from being born early. Or they might have jaundice. You may also face weight gain issues. I breastfed the twins for a year, but I didn’t hesitate to give them formula when it meant gaining weight. Make feeding a priority to keep your babies healthy. Read more about breastfeeding twins. With twins, you can’t tailor your days according to their needs. Instead, you rely on a schedule for both of them. For instance, with a singleton, you can feed him when he looks like he’s hungry. You put him to sleep when he starts rubbing his eyes. And while you can look for cues with twins, juggling two of them makes it nearly impossible to get any break. And so you place them on a schedule that works for both of them. 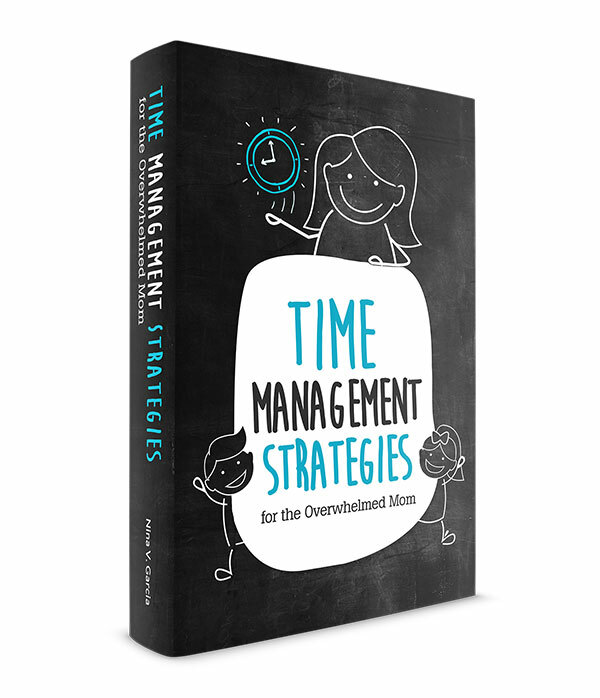 You rely on the clock more so than on cues. You feed them at the same time. When one baby wakes up earlier than the other, you put him back to sleep or play with him until it’s time to nurse. 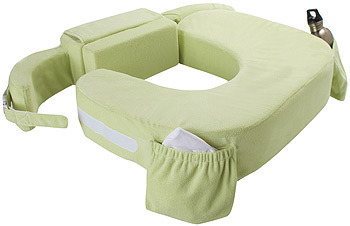 Tip: Use the My Brest Friend Twin Deluxe nursing pillow—a serious lifesaver! 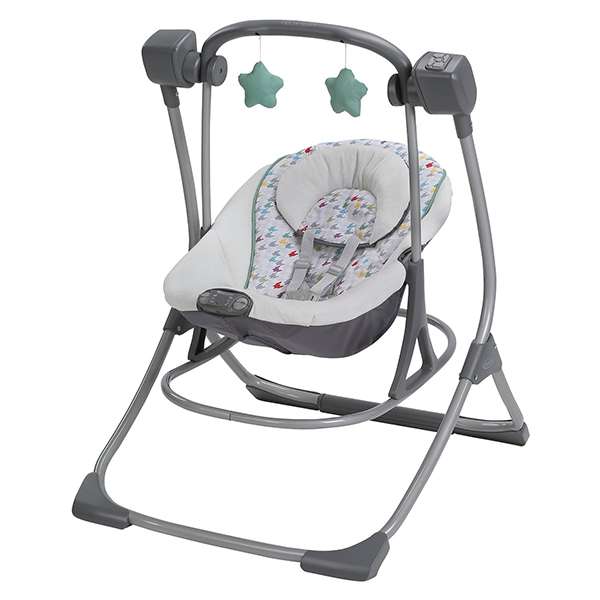 If you bottle feed like we also did, get two infant bouncy chairs once they’re a few weeks older. Place each baby on each seat so you can hold both bottles for them. They’ll learn to hold bottles, but for now, the seats elevate and hold them enough for you to hold the bottles. (In the early early days, I either nursed them at the same time or we’d bottle feed individually). 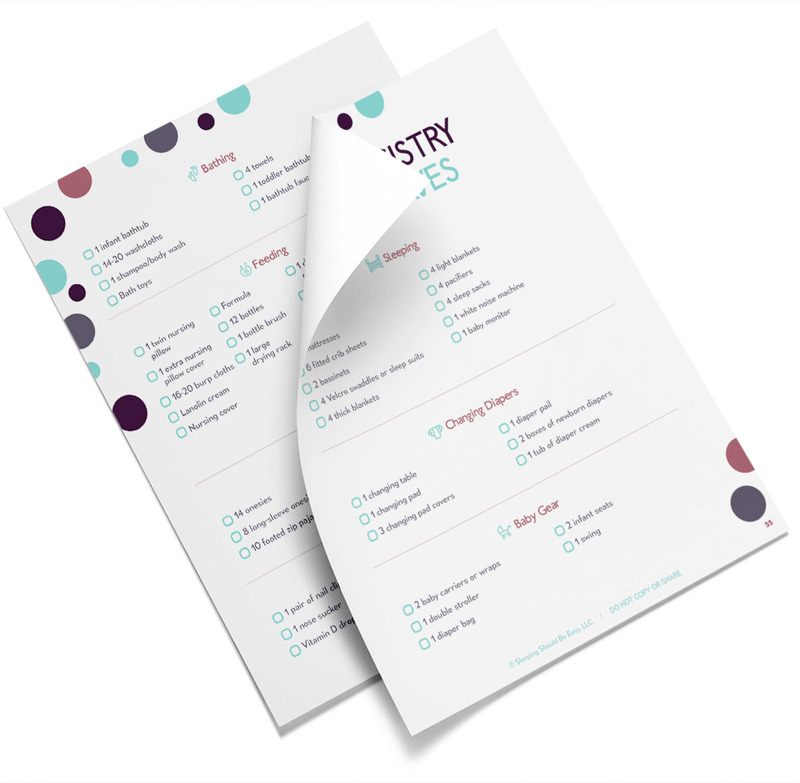 Find a routine that works for you and the twins and stick to it and they’ll grow accustomed to a typical day. Keep them awake for no more than an hour and a half, then put them to sleep for an hour or two. Once they wake up, feed, change their diapers and play with them, again for no more than an hour and a half. Repeat the routine throughout the day until your bedtime routine. Until now, we have yet to see one twin getting sick while the other doesn’t. When one shows signs of a cold, the other will likely catch it. Focus more on preventing any of you from getting sick in the first place. Use hand sanitizers, wash your hands often, and don’t touch your eyes, nose or mouth. And read about what to do when your kids do get sick. You may find yourself alone with the twins like I did. And head’s up: you won’t be able to carry both twins or hold them to sleep at the same time. Instead, use a swing (we used a similar one to this). While you hold one baby, place the other one in the swing. Baby wraps are also fantastic to keep your arms free. Again, while one baby is in the swing, the other is in the baby wrap. And keep the twins in separate rooms for their naps so they don’t wake each other up. Singletons are much easier to bring out and about. And that’s beyond the newborn stage. I was able to bring my singleton one-year-old to the beach since I could carry him or wear him in a wrap. But I couldn’t do the same with the twins because I had no way of carrying them through the sand. Instead, you’ll bring the double stroller with you everywhere. Work on building your confidence on bringing them out alone. I’d feel so scared that they’d both cry at the same time and there wouldn’t be a chance to do much about it. Start small, like a stroll around the block. Most of the challenge is in packing up and getting yourself out the door. Once you’re out, the twins will likely enjoy the change in scenery. And if they cry, remember it’s not the end of the world. Your baby is telling you he doesn’t like something. Make your way back home, or pick the crying baby and soothe him. The more you challenge yourself, the more confident you’ll feel in bringing them out. While caring for newborn twins is different, in many ways, they’re also like singletons. They’re still individual people with their own unique quirks. One will like the pacifier, the other won’t. One will sleep like a champ while the other wakes up in 45 minutes. It’s the taking care of two babies part that makes life with twins different. Still, newborn twins have their special traits as well. They’ll have an instant friend, a sidekick for life. They’ll snuggle close to one another like they did in the womb. And they’ll fill your home with noise and love. Because yes, our bodies are only meant to carry one. But, as they say, double the trouble, but double the love. And I’m so glad that while our bodies have their limits, our hearts don’t. Moms of Multiples: When Does Caring for Twins Get Easier? 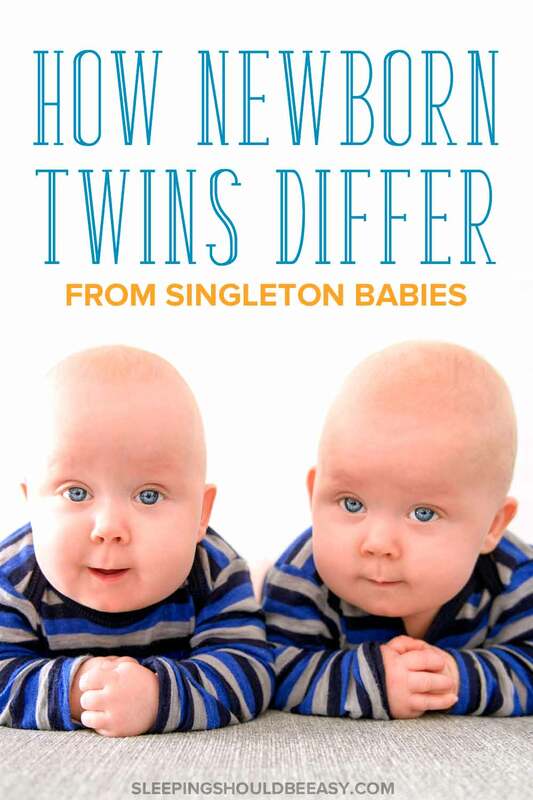 Your turn: How are newborn twins different from newborn singletons? Makes me admire my twin mom friends even more, Nina!! Haha thanks Rabia! I seriously don’t know why I ever complained with ONE baby lol. I had to giggle a little when you said that most of the struggle is just getting out of the houser. I may not have twins, but just getting everyone out the door seems to be the biggest hurdle for us! You are definitely not alone Leslie 🙂 I think with three kids you’re sort of just numb to the whole getting out of the house process and just hope everyone makes it to the car fine lol. Yup, having my first made me feel a bit more melodramatic—everything was so supposedly hard. But then you get two and you’re like, What was I complaining about? Haha. The truths of first-time motherhood indeed! I have a friend who has triplets. TRIPLETS!! Her babies were a few months younger than my daughter, but man what a difference. Now that I have twins, I cannot even IMAGINE having triplets! Seriously, I bow down to them because I know how hard it can be to take care of two and even one! I too had a toddler at home when my twins were born. It was rough the first couple of months, but the only way to manage is sticking to a routine that works for you. At times, it seemed unfair to have them do everything at the same time because you really want to have that individual time with each one. You quickly learn how their personalities are different, but all 3 of my children benefited from being raised with a solid routine. As they got older, we color coded everything. Bottles, clothes, shoes, sippy cups, plates, toothbrushes. They often were not sick at the same time. They didn’t even contract chicken pox from each other! I often relied on strangers helping me out at the grocery store, even at the health department for their shots. When you walk in all supermom-like with two infant carriers, people always offered to open doors or be “extra hands”. Yes, my husband and I were sleep deprived those first months. We slept in 4 hour shifts during the week and we each slept 8 hours a night every other weekend. I managed naps for myself when all 3 napped at the same time. Such great tips, Brenda! I completely agree about getting them on a routine and synchronizing their schedules. I couldn’t have imagined doing it any other way!